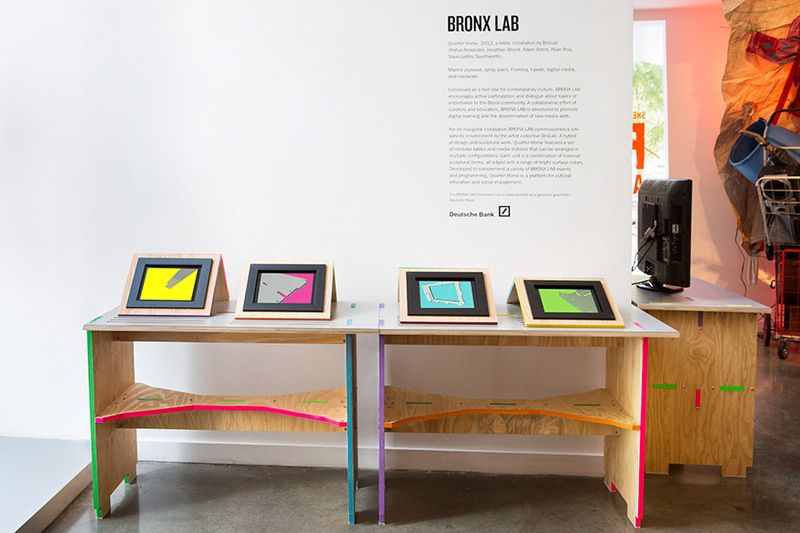 For its inaugural installation BRONX LAB commissioned a site-specific environment by the artist collective BroLab. 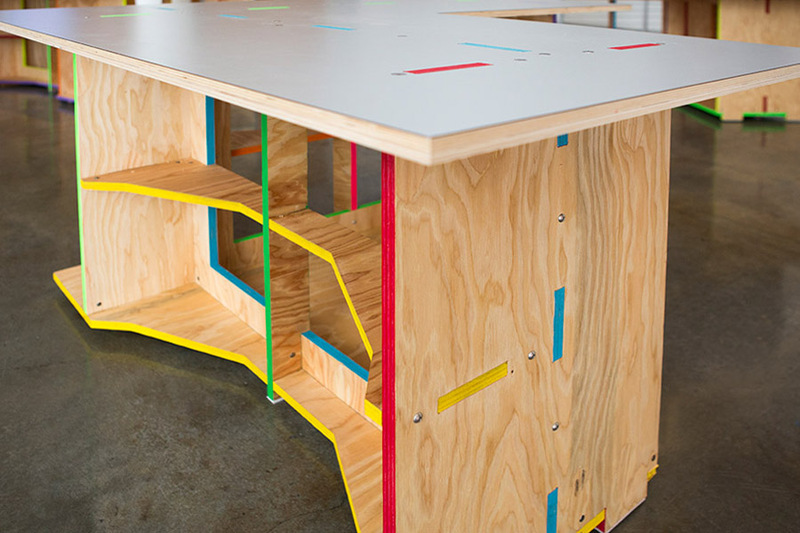 A hybrid of design and sculptural work, Quarter Horse features a set of modular tables and media stations that can be arranged in multiple configurations. Each unit is a combination of minimal sculptural forms, all edged with a range of bright surface colors. Developed to complement a variety of BRONX LAB events and programming, Quarter Horse is a platform for cultural education and social engagement. Conceived as a test site for contemporary culture, BRONX LAB encourages active participation and dialogue about topics of importance to the Bronx community. 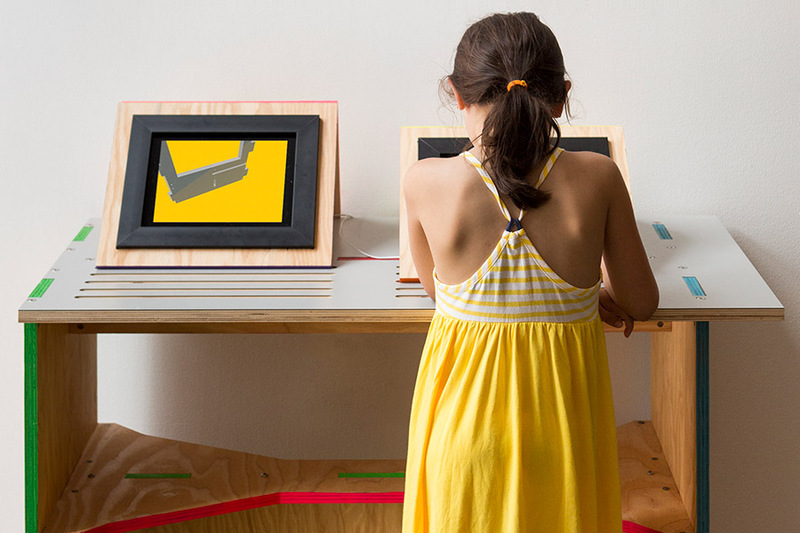 A collaborative effort of curators and educators, BRONX LAB is structured to promote digital learning and the dissemination of new media work. 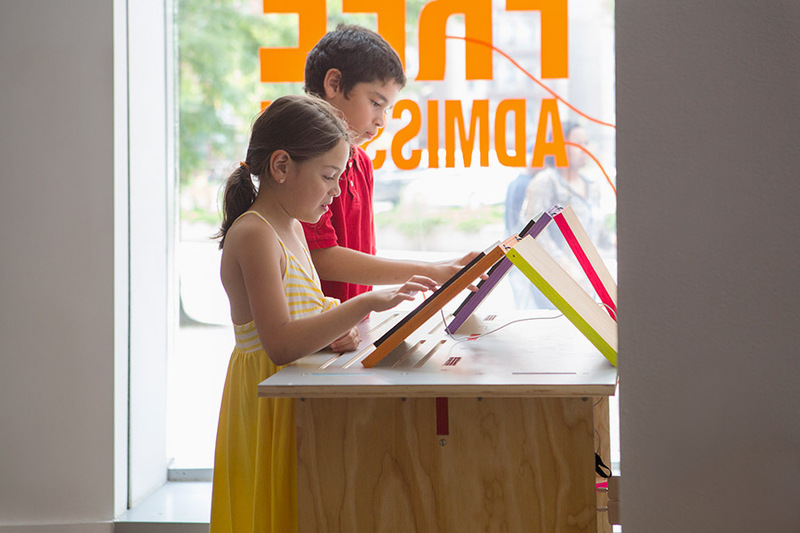 The BRONX LAB interactive hub is made possible by a generous grant from Deutsche Bank.